Richard overseas all aspects of the business from Sales to Finance. 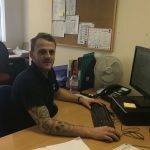 His background has come from working in the quarrying industry growing his knowledge and experience throughout different areas of the industry. In his spare time Richard enjoys sailing and walking and has an interest in veteran motorcycles and the National Trust. Kay has been with the company from the beginning in 2003, having worked with Richard for many years in the past. She started her working life at Thorite Power, gaining knowledge of the industry over this time. Kay is responsible for the Finance and Administration of the company, also HR and IT. In her spare time Kay enjoys walking with her dogs and family time. David joined the company in 2004 and is responsible for the Sales Office and the Operations side of the business. His career began at Universal Conveyors through different areas of the company, then joining Interroll as a Sales Engineer. David enjoys DIY, Formula 1 and is also a school governor. 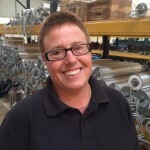 Rob has been with company for 9 years, he is in charge of the workshop and the repair of Watt Drive units. His career started as an apprentice at Cannon & Stokes Aerospace engineers and over 10 years at M&B Gears. Rob enjoys cycling, history and his allotment. Jim joined the company as our Admin apprentice in October 2013 after completing a year of university studying mathematics. When his NVQ was completed he moved on to be the Operations Assistant and responsible for stock control, purchasing and the dispatch department. In his spare time Jim is captain and coach for the QBS cricket club, he also enjoys tinkering with his car and DIY projects. 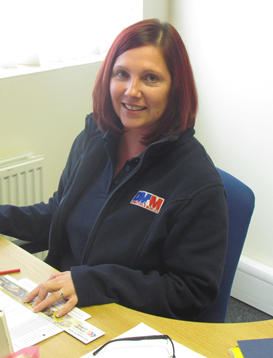 Jo is responsible for all aspects of the sales order process. Jo has previous experience within the industry having worked for LB Fosters materials handling as a market Intelligence researcher. Jo enjoys family time, Gardening and restoring her classic Mini. Dawn enjoys flat green bowls at her local facility, swimming and cycling. 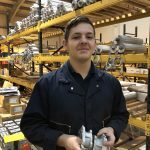 Arron joined in May 2018 and has started on a Level 3 advanced engineering course at Loughborough College, he has been trained on core product assembly, and is also in the process of being learning drum motor service and repairs.